Safety observers don’t have to be safety managers. You can count on regular employees to monitor safety. Hear about the research which backs up this claim. Cary Usrey of Predictive Solutions started his career in the U.S. Navy’s Nuclear Power Program. He graduated with his Associate’s Degree in Occupational Safety and Health from Trinidad State Junior College in Colorado, is a member of the Central FL chapter of the ASSE, and has served on the Board of Directors for the VPPPA (Region II). Cary describes various programs where the workers are safety watchdogs. Dan Clark interviews Cary in this podcast. Cary writes a regular blog, “Safety Cary” for Predictive Solutions. See the transcript for links. Cary Usrey: If everybody did a small, focused inspection, think about it. If you have 100 workers doing a 10 minute focused inspection, that’s a lot of information that you’re going to get back. Dan Clark: Workers are asked to monitor workplace safety. But can you count on them? Hello, I’m Dan Clark. Today were talking with Cary Usrey, a.k.a. “Safety Cary.” You can read his posts at predictivesolutions.com. Hi Cary. Cary: Hi, Dan. How are you? Dan: I’m well, thank you. Well, let’s talk about workers as watchdogs. Ah, you’ve written a piece called Measuring Safety Observer Performance. 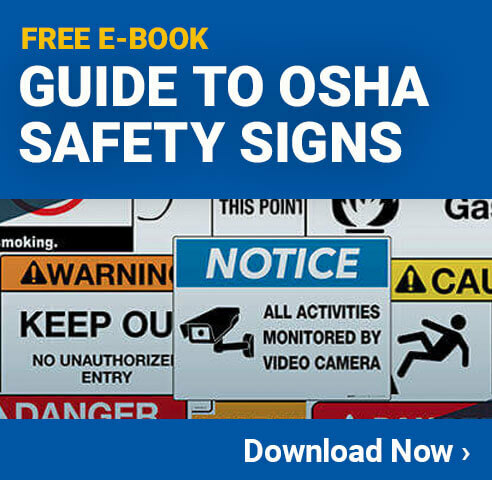 OSHA urges employees to be safety observers, but only a small percentage participate. Is that right? Cary: Absolutely. I was a special government employee SGE, OSHA’s Voluntary Protection Program, and if you look at any safety management systems, employee involvement is a big piece. But specifically for the VPP, they looked at employee involvement. And a lot of times you’d go into a company and you’d see participation on a safety committee, or you’d see a safety suggestion box. But it was really a small percentage of employees, if you really looked at, who actually got involved in safety and you could actually measure it or demonstrate it. And I feel worksite safety observations everybody should have a voice, everybody should speak up. But you very rarely see it widespread throughout a company. So, yes, that’s absolutely what I’ve seen. Dan: So, how do you encourage companies and employees to participate? And one was “The more inspections, and the more inspectors, the better,” meaning the fewer injuries. Cary: But, more importantly, it was the diversity of the observers. If you rely solely on safety people to do safety inspections, then people tend to shift that ownership to the safety team. And it really doesn’t belong there. It belongs with the employees, speaking out when they see a hazard. So, getting that widespread involvement based on that study is very critical, in my opinion. If you want to reduce injuries, if you want to prevent injuries, you need more people out there. More eyes looking. More voices talking. Dan: I know a lot of companies are maybe reluctant to involve the employees because they’re worried about quality of the reports. Have you found that to be true or false? Cary: Well, I think there’s certainly…there is certainly the myth, Dan. Sure. You’re going to have quality issues with any process. Cary: Again, that’s a myth. I say that because it is a myth. “Garbage in, garbage out.” I hear that often, which is not true and I’ll tell you why in a minute. And there’s also “Well, nobody does it as good as me. I’m a trained safety person.” That’s absolutely true, but you have to look at it like this. There’s a fundamental issue, really, when it comes to involving workers to do widespread safety observations. And that is you have to set expectations beyond turning in a card, for example. The expectations on “What should that inspection look like? What should they be looking at? Are they trained to look at those hazards? That’s the first piece. Set your expectations, and make sure that the foundation is laid. Dan: So, they were just kinda going through the motions and if you educate, you think that they’d actually fill those out correctly. Dan: You mentioned “pencil whipping”. What is “pencil whipping” and who does it? Cary: Sure. Ah, to be honest with you, I’m not sure where the terminology is from. I think they call it “pencil whipping” because you do a big, flourished check in the nothing’s-ever-wrong box. Cary: So, you just “whip, whip, whip, whip, whip” and you’re done. And you don’t really go out and do a good investigation. Dan: And I asked “Well why is that there?” after I’d filled it out. And he goes “Well, a lot of people don’t even read it. They just check ‘no’ on everything, and we don’t hire him if they mark that.” And so this is a great example of it. Now this is something that happens with the safety managers and the employees? Doesn’t matter who it is, pencil whipping’s everywhere? Cary: …The, the employee did, just to say “Hey, is it really going into a black hole, or is somebody actually caring enough to read these, right? Dan: Did he get a call back? Cary: Yes, fortunately, yes in this situation. Dan: I have a question about, ah, you recommend the Hazard Recognition And Control Program in a company and you say that’s the best way to get workers eyeballs looking toward safety. So, tell us about that. Cary: It’s really an observation program. That’s really what it is. You must train workers on hazard recognition. That’s required. They should just have a way that they can report those hazards back. That’s really all it is. It’s nothing fancy. It’s nothing glorified. But what typically happens is the training is often minimal. They’ll get an orientation—an on-boarding, right? Best I’ve seen, for most workers, is an OSHA 10-hour. Or in some companies, I’ve seen an OSHA 30-hour. But those just scratch the surface on hazard awareness. I think it should delve even deeper. I really think there should be a fundamental program designed around this. For example, if I’m a 30 year safety veteran, it would take me many years to train somebody to do an observation across an entire facility the same way I do. Would you agree, Dan? Cary: Yes. So, if that’s the case, I can’t do that with all my employees but I can guarantee you I can take a component of a health and safety program. Let’s say we start with PPE, hardhats and safety glasses. I can teach you, or anybody, within minutes “Can they recognize safe and unsafe PPE?” Right? Cary: Let’s stick with hardhats and safety glasses first. So we teach them on it. We give them the knowledge component, and then they demonstrate through observation, and then we sign off on it. We did that in the military. We called them Qual-Cards. But you had to do it step by step. So, when they graduate from PPE then you put them into Housekeeping, and then to Hand and Power Tools, and eventually after things like Fall Protection, or Confined Space Entry, or Electrical, right? It’s got a be a gradual process, and, to me, focused inspections. If you’re going to get everybody involved, not everybody has to do an inspection like a safety professional would. If everybody did a small, focused inspection, think about it. If you have 100 workers doing a 10 minute focused inspection, that’s a lot of information that you’re going to get back. And then the safety person can become more of a coach and less of that cop, right? The safety cop mentality. And they can start teaching people to become better observers piece by piece. Everybody’s going to be at different levels. You take a 20 year veteran in an industry, like a superintendent in a construction company, I could probably teach him very quickly and get him qual’d in a lot of different categories. But you get a green rookie and it may take a while to get him piece by piece. But, if you stick with that gradual process, it’s going to pay a lot of dividends. A safety person can only be one place at one time, so the more people you get involved, the more you can spread that ownership, the better your gonna be. Dan: So, let’s just say, Cary, that you’re in charge of safety for the United States. Given the magic wand, would you say OSHA, instead of having a Voluntary Protection Program, it should be renamed the Mandatory Protection Program. Cary: Well, think that’s what they would like, but if you look, the Voluntary Protection Program, at its core, is a safety management system. I’m not going to go out and recommend, no, that you’re going to mandate a safety management system. Some say it’s more an art than science because it’s not cookie-cutter. It’s different for each organization. And you can certainly take the cookbook approach, and you can pass with flying colors, but that doesn’t necessarily make it a robust or effective system. So, it’s an interesting question. If we can mandate that everybody has an effective one, well, that’s a different story. But that’s not what I typically see. Dan: Cary, I have a feeling the observations and the safety reports that are generated don’t really tell us everything we need to know. Is that right? Cary: Well, when you look at observations, as you get the observations in, we tend—as a safety profession—to measure by our failures. Are you a safe company? Am I going to hire you as a contractor? What do we look at? We look at their lagging indicators. Their injuries, right? Cary: But I can work very unsafe and still have zero injuries. So, really, what we should be doing is doing these observations, measuring the difference between what we want—that’s our Health and Safety Plan—and what we actually have, which is reality, right? And measure those gaps and fill those in. Because, if we have zero injuries, we want to know “Are we lucky, or are we good?” And that, to me, will be the difference, through those observations. Dan: Well this has been great stuff. A good, sober look at the safety industry in the United States, and I want to thank you very much. Any predictions on what you, your next post is going to be, Cary? Cary: Actually, I’m starting to work out on Individual Leading Indicator Metrics. One of my pet peeves is people throwing out all these leading metrics that really have no merit, that sound good but aren’t that great. So, I’m going to do a series on Individual Leading Metrics. Everything from Safe Observations, Severity Of Findings, things like that. So, that’s going to be my thread throughout 2014. Dan: Well, we’ll look for your blog on predictivesolutions.com, and the Safety Cary blog. I appreciate it. Thanks a lot, Cary. Cary: Alright Dan. Thank you for the opportunity. Dan: Our guest has been Cary Usrey, Safety Cary, and you can read his posts at predictivesolutions.com. I’m Dan Clark.